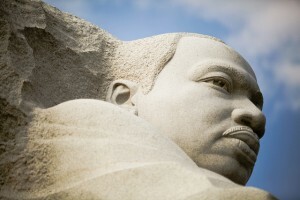 The Martin Luther King Jr. Memorial in D.C.
Today marks the 44th anniversary of the assassination of Martin Luther King Jr., a day that shook a nation and forever changed D.C.’s landscape. The riots that erupted in the wake of King’s killing devastated many D.C. neighborhoods, which were left economically depressed for decades. That environment set the stage for present day gentrification. Rioting after King’s assassination lasted for days in D.C., where initially peaceful gatherings turned violent. People looted businesses and more than 1,000 buildings burned to the ground. A curfew was put into place. 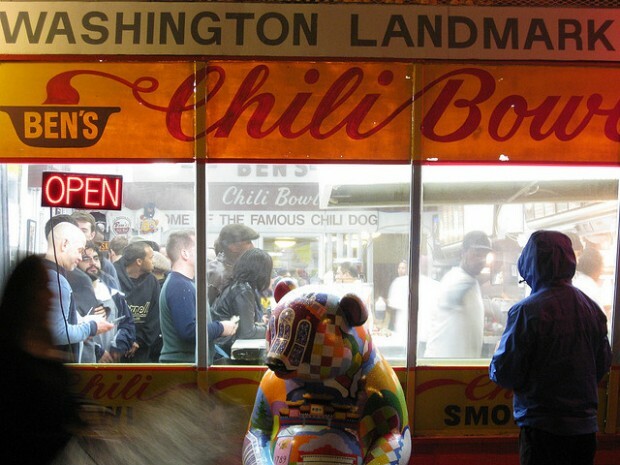 Ben’s Chili Bowl on U Street was one of the few businesses that remained opened through the riots. In the video below, Ben’s Chili Bowl cofounder Virginia Ali and others recall D.C. during the riots. They also talk about how Ben’s survived the aftermath of the riots and then weathered gentrification. Ben’s is one of the oldest businesses on U Street and is now a bonafide D.C. landmark.